Each Social Studies Readiness Flip Chart Set includes 10 double-side, laminated charts, each 12" x 18". Side 1 features graphic overview of topic while side 2 is "write-on/wipe-off" activity chart. 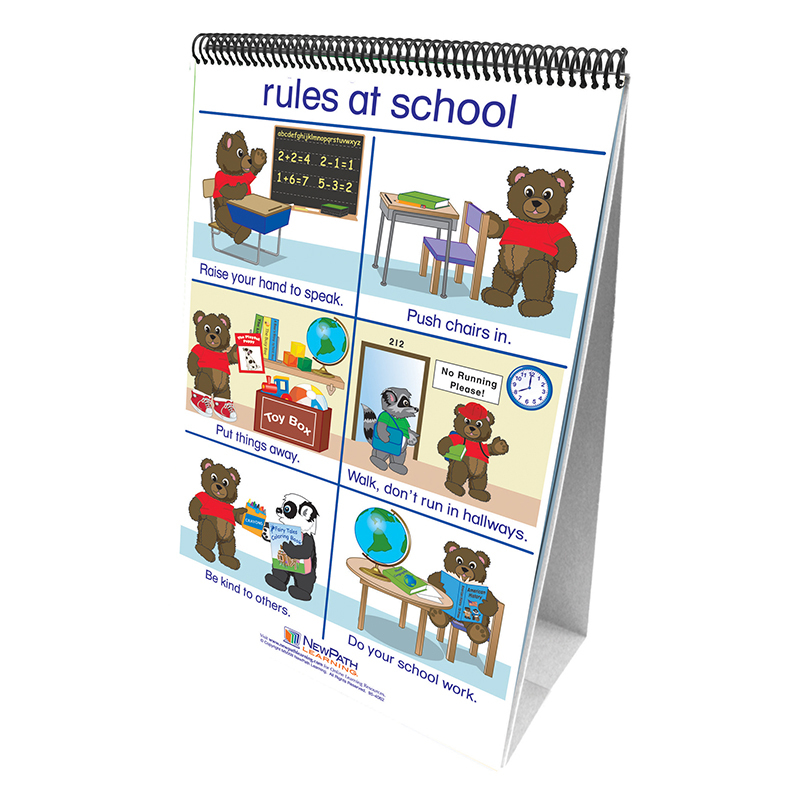 Spiral-bound on a durable, free-standing easel, each Flip Chart Set also includes Teacher's Guide featuring detailed teaching instructions along with copy-masters & activities. Topics covered: Citizen's Rights; Pledge of Allegiance; National Symbols; National Monuments; US Presidents; Election Day; Rules at Home; Rules at School; and Rules for the Community.